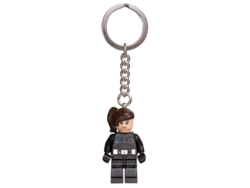 853704 Jyn Erso Key Chain is a Star Wars Key Chain released in 2017. Infiltrate the Empire with Jyn Erso! Be on the alert for Imperial forces wherever you go with this Jyn Erso key chain. 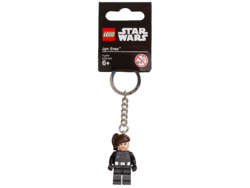 Attach the LEGO® Star Wars minifigure with Imperial ground crew disguise and durable metal ring and chain to your keys or backpack, and let Jyn keep the dark side at bay! Features a LEGO® Star Wars Jyn Erso minifigure with Imperial ground crew disguise attached to a durable metal ring and chain. Facts about "853704 Jyn Erso Key Chain"
This page was last edited on 9 February 2019, at 23:18.